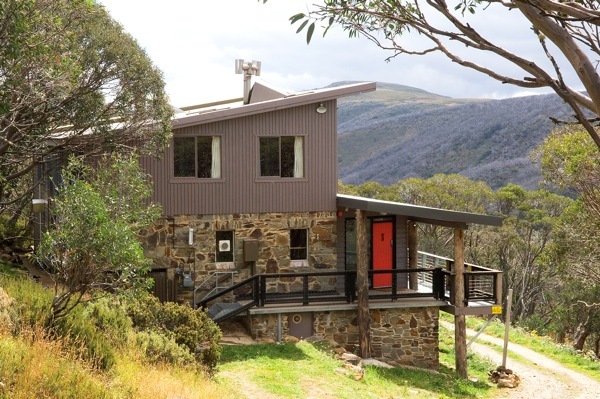 The University Ski Club Hotham lodge is situated on the Great Alpine road, adjacent to the Blue Ribbon charlift which gives it a prime ski in, ski out location (grid reference F4 on the interactive Hotham Village map on the Mt. Hotham website, bus stop number 4). The USC lodge is one of the oldest buildings on the mountain and was built by the members from local stone. It has since been extended to provide 26 beds in a variety of double, twin and 4 or 6-share room configurations. The basement area is shared with a population of Mountain Pygmy Possums (Burramys Parvus), thought to be extinct until discovered at this lodge in 1966. The highlight of the ski trip for many members and guests is an encounter with one of these delightful, friendly creatures.